This paper reports on the characteristics of a subgroup of English language learners (ELLs) in the New York City (NYC) public school system, commonly known as SIFE, Students with Interrupted Formal Education. This study was originally conducted for the NYC Office of English Language Learners (OELL) between 2004 and 2008. Recent arrivals to the United States, here less than a year and e in the 9th or 10th grade at the time of the study, were asked to complete a language background questionnaire (an assessment testing for ‘typical language development), along with the Academic Language and Literacy Diagnostic Test (ALLD). Results show that SIFE have typical language development, with high competence in production and comprehension of complex syntax, as well as preliteracy skills, like orthographic and phonological awareness. 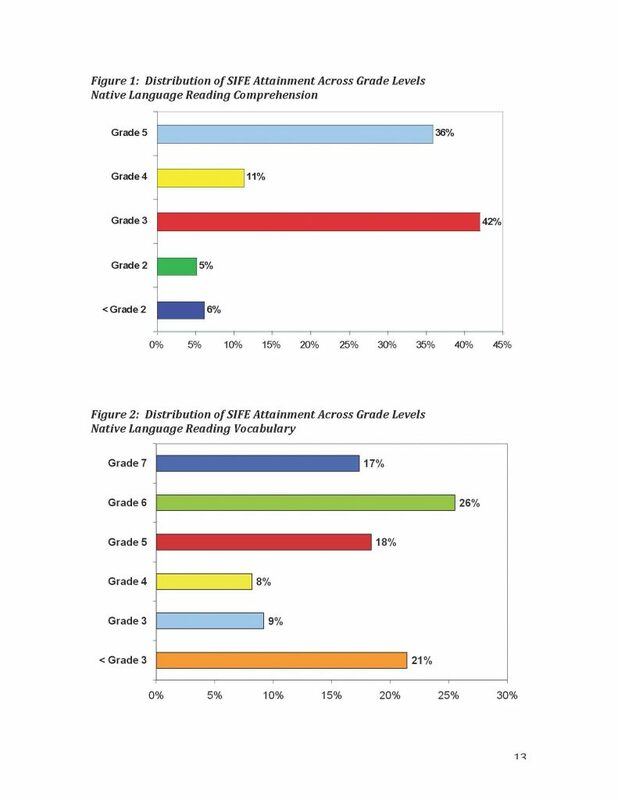 However, the SIFE in the study showed severe deficits for high-level literacy skills, their reading levels averaging at about the 5th grade level, and comprehension at about the 3rd grade level. Based on these results, our recommendations to the NYC Department of Education included an additional year of schooling for these students, prior to introduction to ‘mainstream’ high school. This recommendation led to the development of Bridges to Academic Success (Bridges)..
Bridges draws upon the observations of this initial study of the SIFE population and addresses the specific needs of those students. In collaboration with schools across NYC, Bridges developed an interdisciplinary, specialized curriculum to be used with SIFE in a ‘sheltered’ setting, apart from the general high school population. This paper reports on the second year of the Bridges program pilot for SIFE in the 9th and 10th grade. After one year of instruction, with native language support, Bridges students made significant gains in English foundational literacy and math. This work has led to the development of native language literacy diagnostics in all the major home languages of incoming SIFE and low-literacy adolescents in New York City and New York State schools, i.e. Haitian Creole, Chinese, Arabic, Bengali, and Urdu.